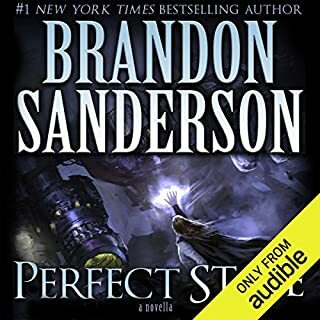 Brandon Sanderson is one of the most significant fantasists to enter the field in a good many years. 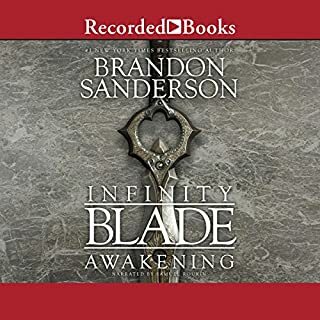 His ambitious, multi-volume epics (Mistborn, The Stormlight Archive) and his stellar continuation of Robert Jordan's Wheel of Time series have earned both critical acclaim and a substantial popular following. In Legion, a distinctly contemporary novella filled with suspense, humor, and an endless flow of invention, Sanderson reveals a startling new facet of his singular narrative talent, read by Audie Award-winning narrator Oliver Wyman. ©2012 Dragonsteel Entertainment, LLC (P)2012 Audible, Inc.
is that it isn't long enough. 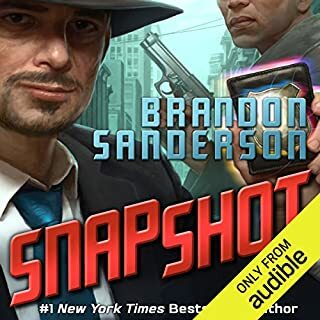 It is an excellent concept, and I hope that Brandon decided to make a full length novel with it. The potential is great! If you could sum up Legion in three words, what would they be? What other book might you compare Legion to and why? A latter day Sherlock Holmes. I hope Sanderson writes more Legion novels. Great listen! Humor, suspense, action, and an intriguing premise (actually several intriguing premises). Had never heard an Oliver Wyman narration before, but he's very good in this one. 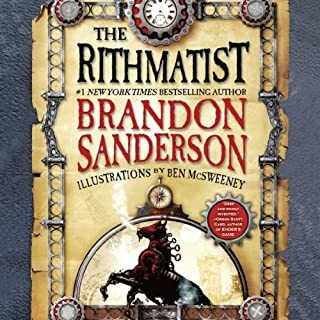 Hope Brandon Sanderson gives us more of this(ese) fascinating character(s)! Legion is simply yet another example of Brandon Sanderson's immense talent. The guy is clearly one of the best fantasy writers today and Legion just shows how far that talent extends. I have no idea how Sanderson can publish so many works so quickly. Legion is a short novella set in the modern day about a guy who sees and interacts with a host of imaginary individuals. These individuals each possess unique skills or knowledge, which they ultimately pass onto Steve, the protagonist. I was immediately drawn in by this concept. I mean, Steve is basically a genius, but his genius requires him to interact with hallucinations. What an awesome concept. I was totally sucked in right from the start. The story itself is pretty neat, involving a camera that can take pictures of the past, but the best parts are the interactions between Steve and his hallucinations. The only real complaint that I have is that it was too short! 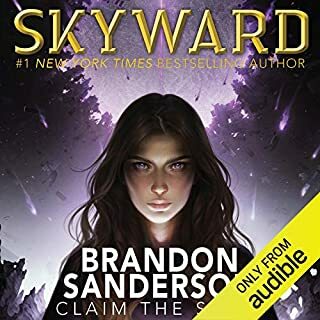 I really hope that Sanderson intends to revisit this world, because I am eager to read more. I found Legion to be a very creative and entertaining story and I would recommend it highly to any fantasy reader. What made the experience of listening to Legion the most enjoyable? I loved the wry humor observing/listening to the aspects interacting with one another and their host person/mind. Good pace, good twists and turns, great fantasy... A ton of fun. What was one of the most memorable moments of Legion? Don't want to be a spoiler, but when two of the aspects become romantically interested in each other, I literally laughed out loud!!! Loved this story! Definitely. I looked forward to the times I was able to listen to more and hear the story advance... Great reading. I really recommend this to fun loving people who enjoy science, science fiction, psychology, fantasy, and a great paced story! Engaging concept, enjoyed it, love to hear more! 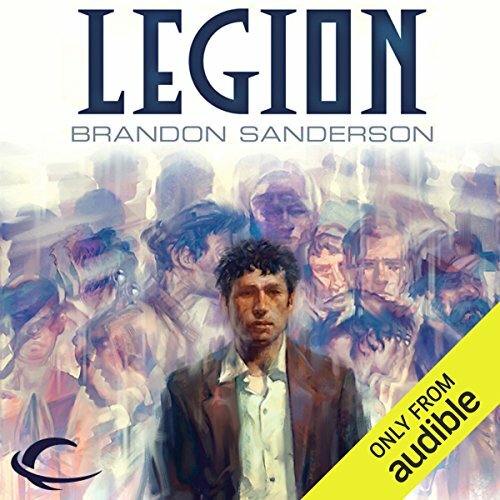 Where does Legion rank among all the audiobooks you’ve listened to so far? The macguffin was a little silly, but other wise an interesting and enjoyable story, being free certainty didn't hurt either. Would you consider the audio edition of Legion to be better than the print version? 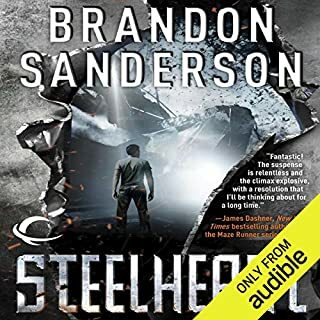 I finished listening, and immediately searched audible for other stories written by Brandon Sanderson. I Especially enjoyed the premise of multiple personalities each with their own skill set. The story is engrossing, and even funny at times. I prefer longer books but I did listen to this in one sitting. Near the top. It is way to short, but a very interesting ride. It is a great way to introduce a character that will be used for several books to come. The novelty of the main character and the possibilities that it provides. No, it was too short to get deeply invested. This is defiantly worth a listen and I hope the author use the main character in other works.